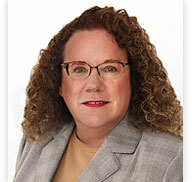 June S. Ailin has represented public agencies in a wide variety of litigation and transactional matters since 1990. Her litigation experience includes cases involving the breach and interpretation of contracts, writs of mandate challenging land use decisions and other governmental actions, CEQA, civil rights violations, the Brown Act, the Public Records Act, conflicts of interest and validation actions, as well as eminent domain and inverse condemnation. She also advises clients on issues involving the Political Reform Act, the Public Records Act, and the Brown Act. Ms. Ailin chairs the firm’s Litigation Group. The range of Ms. Ailin’s litigation experience includes revocation of conditional use permits, defense of issuance of land use entitlements (including CEQA challenges), eviction of a beach concessionaire who would not vacate upon termination of the concession agreement, an administrative challenge to a proposed water company acquisition and numerous validation actions challenging redevelopment plan adoptions and amendments. Ms. Ailin’s property acquisition and eminent domain practice has included total and partial takings for public works projects such as flood control, street widening and freeway projects, as well as acquisition for redevelopment and reuse of blighted properties. Her property acquisition experience includes unusual properties such as a water company, and unusual property interests, such as real property use restrictions. In the course of this work, Ms. Ailin has defeated challenges to the public agency’s right to take property and claims for precondemnation damages. In cases that have gone to a jury trial on compensation, the majority of the verdicts Ms. Ailin has obtained have been favorable to the condemning agency. In the inverse condemnation arena, Ms. Ailin has obtained court rulings holding that no taking has occurred. Ms. Ailin is a member of the firm’s water practice group. She has represented a city in proceedings before the Public Utilities Commission, successfully opposing a large private water company’s acquisition of a small private water company. She then represented the city in eminent domain proceedings, and ultimately a negotiated acquisition, of the small water company. Following the city’s acquisition of the water company, Ms. Ailin advised the city on a variety of issues related to management and operation of the water company and the city’s relationship with the contract operator of the water utility. Ms. Ailin also represents a water district in the Antelope Valley Groundwater Adjudication, which involves the largest groundwater basin in the state. Ms. Ailin has extensive experience at the appellate level and has several published court of appeal decisions to her credit. Ms. Ailin is a regular seminar speaker on various eminent domain and litigation topics, as well as issues related to the dissolution of redevelopment agencies and efforts to enable cities to continue their economic development activities.